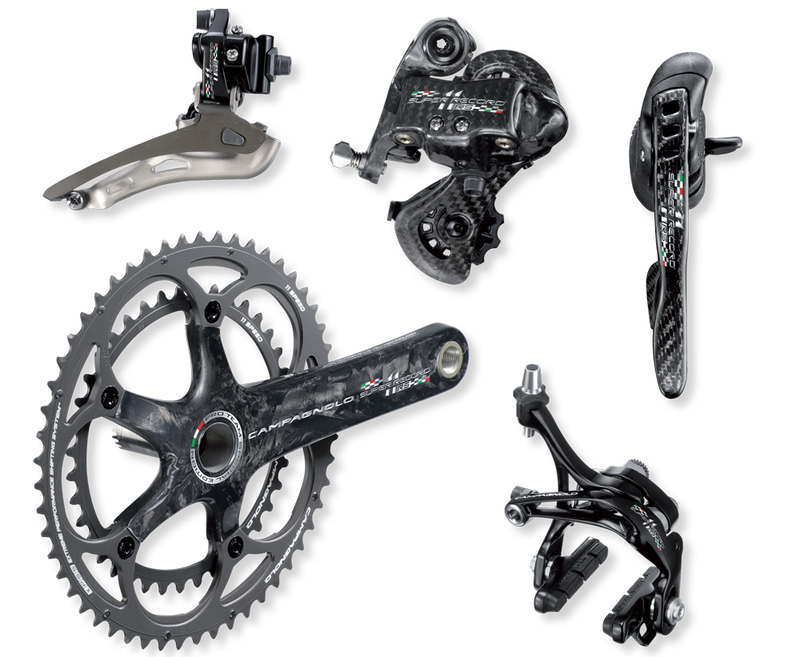 Campagnolo has introduced another tier to its range of groupsets with the Super Record RS; as the name suggests it sits as the ultimate pinnacle of the Italian companies groupset offerings. Whilst electronic groupsets gain everyone’s attention, the RS is an update of the mechanical Super Record 11-speed. While UK pricing has yet to be set, we’d expect this limited-numbers, limited-availability groupset to attract a 10-20 per cent premium. Given that the standard Super Record groupset is circa £2,300, that will put SR at somewhere between £2,500 and £2,800 ­at a guesstimate. So what’s actually changed? Detail is a little short on the ground with plenty of PR hyperbole to wade through in the official press release but it boils down to one area of improvement ­ the front shift. Not an area our testers had particularly highlighted as a shortcoming with normal Super Record. Targeting an improvement in ‘performance and reliability’, Campagnolo’s engineers have updated several angles and shapes around the front mech as well as modifying the chainring tooth profiles specifically the ‘internal surface’ for a faster and more efficient chain engagement ­to give them ‘perfect angles and structural form’. Along with the physical changes, the graphics have been updated to reflect the Campagnolo’s heritage, with the script in chrome as well as a checkered ‘tricolore’ flag for that added race appeal.